I have tried numerous fishing rod holders. They really help ou to keep your poles organized and out of the way. You can hang them on the wall in your garage too. Look for a holder that is well made so that it is going to be durable and stable. You don’t want your poles to get damaged should it fall off the wall. You also want to make sure it is going to be able to hold enough equipment. I have numerous fishing poles, so I have those that hold up to 6 on my walls. If you are an avid fisherman or you would like to add more to your collection later on, then give yourself room to do so. I suggest you compare prices and what they are made from. Some are made from metal and others are made out of wood. Some have detailed engraving on them too if you want something fancier. 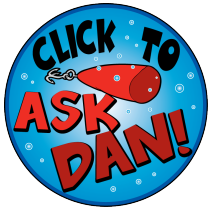 What do I need to fish from my kayak?